This offer is a great opportunity to stock up and get an unbelievable bargain with that special element of surprise! Treat yourself to one and we are sure you won’t be disappointed! Products from Dies to Ribbon, Ink to PaperKits and Essentials to Tools! Terms and Conditions: Does not include pre-orders or back orders. Subject to stock availability. Offer valid until 1st November 2017. The offer may be withdrawn at any time without prior notice. Can be used in conjunction with any other offers and promotions. 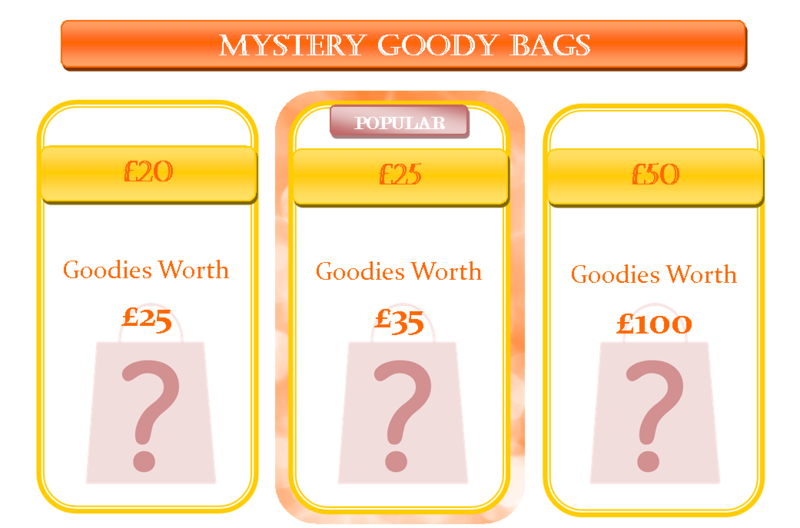 Goody bag value will be the minimum contents value based on product rrp, What a bargain! Contents will vary. If you buy multiple, you may receive duplicate products.